Previous research has shown that during visual search tasks target prevalence (the proportion of trials in which a target appears) influences both the probability that a target will be detected, and the speed at which participants will quit searching and provide an ‘absent’ response. When prevalence is low (e.g., target presented on 2 % of trials), participants are less likely to detect the target than when prevalence is higher (e.g., 50 % of trials). In the present set of experiments, we examined perceptual failures to detect low prevalence targets in visual search. We used a relative prevalence search task in order to be able to present an overall 50 % target prevalence and thereby prevent the results being accounted for by early quitting behavior. Participants searched for two targets, one of which appeared on 45 % of trials and another that appeared on 5 % of trials, leaving overall target prevalence at 50 %. In the first experiment, participants searched for two dissimilar targets; in the second experiment, participants searched for two similar targets. 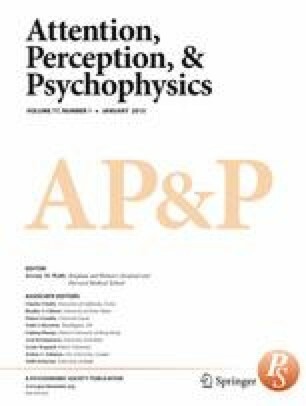 Overall, the results supported the notion that a reduction in prevalence primarily influenced perceptual failures of identification, rather than of selection. Together, these experiments add to a growing body of research exploring how and why observers fail to detect low prevalence targets, especially in real-world tasks in which some targets are more likely to appear than others. This work was supported by funding from the Economic and Social Sciences Research Council (grant ref. ES/I032398/1).